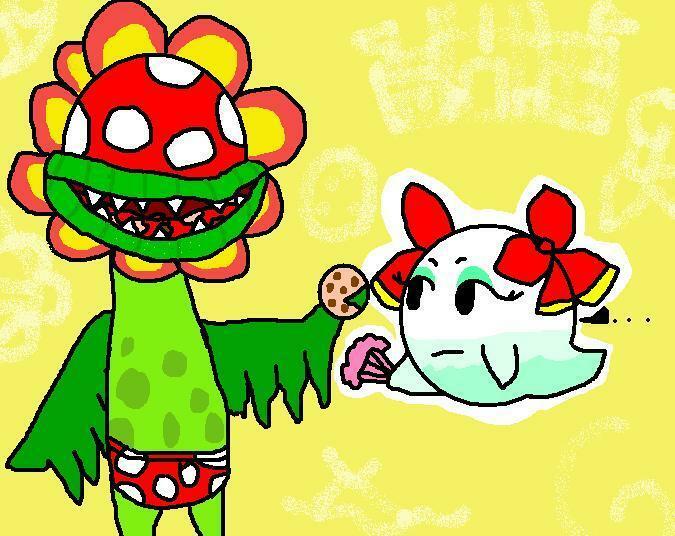 Petey Piranha giving Lady Bow a cookie. the عنوان says all!. Wallpaper and background images in the Nintendo club tagged: nintendo mario food lady bow petey piranha cookie share fanpop.